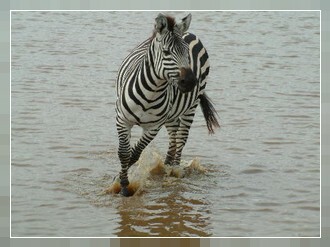 Simply the Great: The Serengeti National Park, covering 14,763 square km, is the world's greatest wildlife sanctuary. One of the most breathtaking events in the animal kingdom is the migration of hundreds of thousands of wildebeests, zebras and gazelles followed by the attendant predators which takes place here every year. The Serengeti was accepted by the World Heritage Convention as a World Heritage Site and Biosphere Reserve in 1981. Since the park is so tremendously large, the terrain varies widely. Central Serengeti is a vast, treeless plains and savannah, dotted with acacia trees, magnificent rock outcrops called kopjes, riverine bush, and thick scrub. In other regions, one can see winding streams, fast-moving rivers, small swamps, and lakes. These features give the park a fascinating variety of habitats. The park contains an estimated three million large animals, most of which take part in the seasonal migration that is one of nature's wonders. Serengeti National Park has more than 35 species of plains animals, from the hare to the elephant, and it has a wonderful selection of bird life. Survey estimates indicate that the animal population includes more than 3,000 lions, 1,600,000 wildebeests, and 500,000 zebras., in addition to more than 400 birds species. It is truly one of the world's great natural treasures. 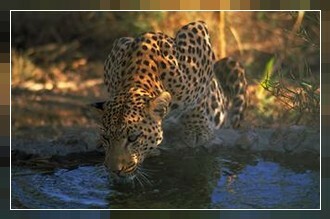 Facilities: Four lodges, six tented camps, and a variety of campsites.